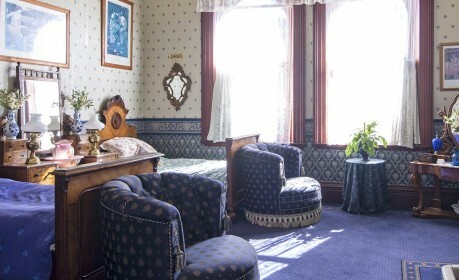 Follow in the footsteps of great Australians – Sir Henry Parkes, Banjo Paterson and Dame Nellie Melba and others who have graced the rooms of Historic Stannum House. 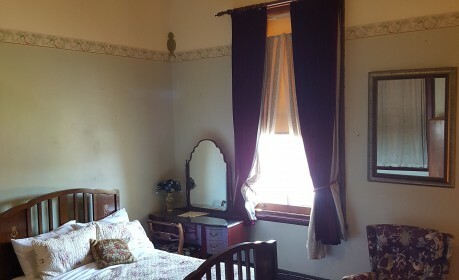 Located in the popular tourist region of the New England Tableland, Stannum House is perfect for a romantic getaway or as a base to tour the best that the region has to offer. Named after Kirk Jensen, the man responsible for the unbelievable restoration of Stannum House, this room is quite special. It includes a comfortable queen sized bed and a large television. 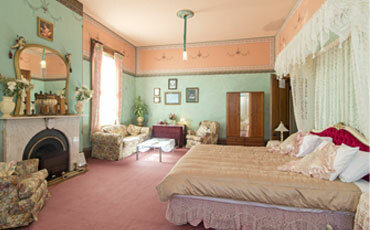 The room is decorated and furnished in accordance with the rest of the house, making it a treat to stay in. Located on the second floor of the mansion, this room contains an ensuite bathroom, making it one of the more convenient rooms in the house. 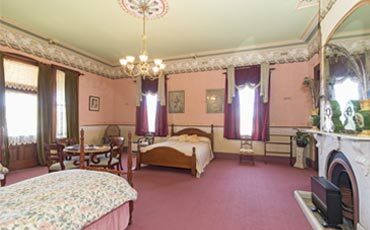 Facing North, the romantic Josephine Room has an antique Victorian four poster cast iron and brass double bed, plus two colonial cast iron single beds. There is an antique Victorian cast iron mirror over the impressive marble and tiled fireplace, and the dressing table is also antique Victorian. As in all the rooms in the house, there is elaborate artwork on the walls and ceilings. Nearby is the guests’ kitchen, with tea and coffee making facilities. The TV room, with a large flat-screen set, is beside the kitchen. This beautiful big room is on the south-east corner of the house, and is light and airy, with a Juliet balcony overlooking the main road. 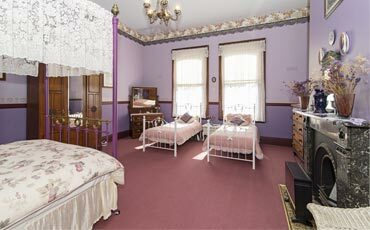 The room has a queen-sized bed and two singles, so it is ideal for families. The mirror over the marble fireplace was in the house when it was first built in 1888. 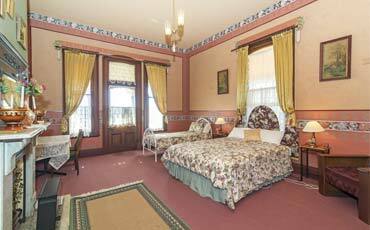 Depending on which other rooms are booked, guests have the use of either an upstairs bathroom, or the very elaborate downstairs bathroom pictured. The room is adjacent to the guests’ kitchen, which has tea and coffee making facilities. There is a separate guests’ TV room, with a large flat-screen set.